For the fitness entrepreneur, zeroing in on the in-home training market can be a lucrative enterprise. Many clients prefer the convenience and accountability offered by in-home training. Not having to groom and dress for the public and not having to commute to the gym can be big time-savers for busy clients. Some clients are uncomfortable exercising in public, and prefer to train in the privacy of their own homes. Clients who are celebrities on a small or grand scale can escape the limelight through in-home sessions. Training in a client’s home often requires creative programming. While some clients have well-equipped home gyms, most do not. Lugging heavy weights in and out of a client’s home is an option, but not an ideal scenario. Elastic resistance, medicine balls and BOSU trainers are light weight and easy to transport. 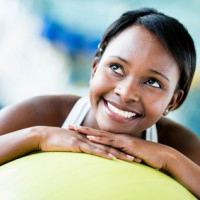 Consider gifting your new client with an inexpensive stability ball to keep in their home. 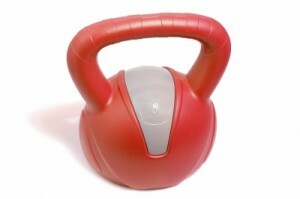 Many clients are willing to invest in their own dumbbells and kettle bells that do not require much storage space. Scope out your client’s home and make use of stairs, decks, pools and play structures. Pay close attention to safety hazards in confined spaces. While most of your work will be performed in your clients’ homes, you will still need to perform record-keeping, budgeting, research and other business-related activities. As an independent contractor, maintaining a home office gives you an important tax deduction. Set aside an area where you do only business-related activities. Keep it organized and clutter-free. You can often deduct computers, printers, office supplies and other business-related items from your taxes. You can even claim your car as a business expense. However, some states charge yearly property taxes on high-ticket business deductions. Unless you are making a substantial amount of money, you may be better off taking a standard, non-itemized business deduction. We have done this on occassion for people who have extremely busy schedules and want some “consultation” type personal training. It certainly has its benefits and can be quite effective if the person is dedicated and keeps the program going on their own time as well. With that said, for people who do not feel comfortable in public, it can be a great option.